Of all the world's spoonbills, only one, the roseate spoonbill, is found in the Western Hemisphere. It is the only pink-colored spoonbill and the only pink colored wading bird in the United States. Roseate spoonbills are 30 to 35 inches long with a wingspan to 52 inches and are 3.5 to 3.75 pounds in weight. 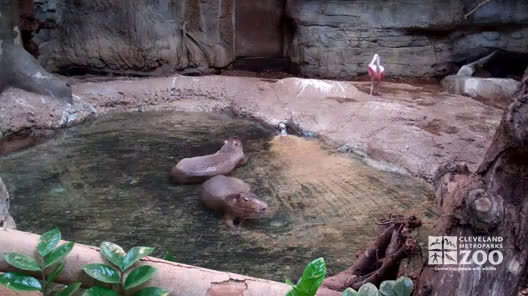 The roseate color tends to fade or disappear when this bird is in captivity, even when its normal diet is sustained. Doses of carotene in the diet help to restore color, however. Identical plumage adorns both sexes. 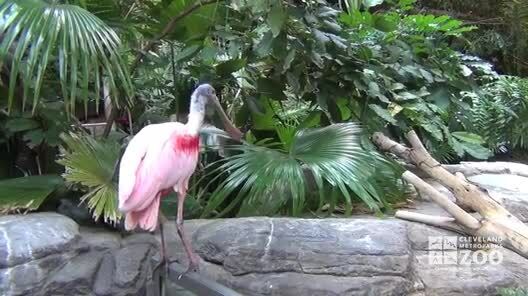 The roseate spoonbill's range is Florida, Louisiana, Texas, West Indies, Central and South America. The habitat of the roseate spoonbill includes mangrove and coastal thickets and coastal islands. 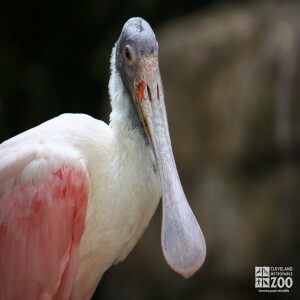 The roseate spoonbill is the only wadding bird to not use its eyes in foraging for food. It feeds by sweeping its bill from side to side in water. Sensitive nerves in the soft edges of the spatulate bill signal the bill to snap shut on the prey, providing the bird with a meal, sight unseen. 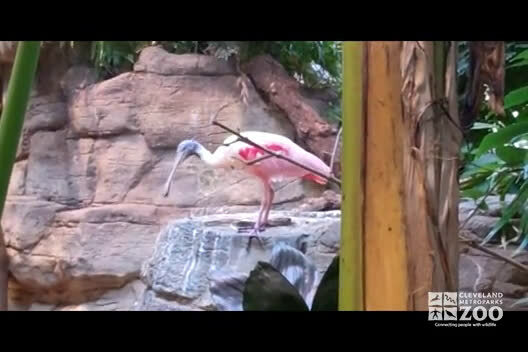 Roseate spoonbills walk on land, perch in trees or wade in water with equal facility. The birds breed near water in colonies and the young, hatched with a spatulate bill, are fed regurgitated food from the parents' bills. Roseate spoonbills build bulky nests of sticks in bushes, trees, reeds, or on the ground, and both parents incubate. The young leave nest in 5 to 6 weeks and are fully independent in 8 weeks.